When openning Axl application, a main window corresponding to the view appears. 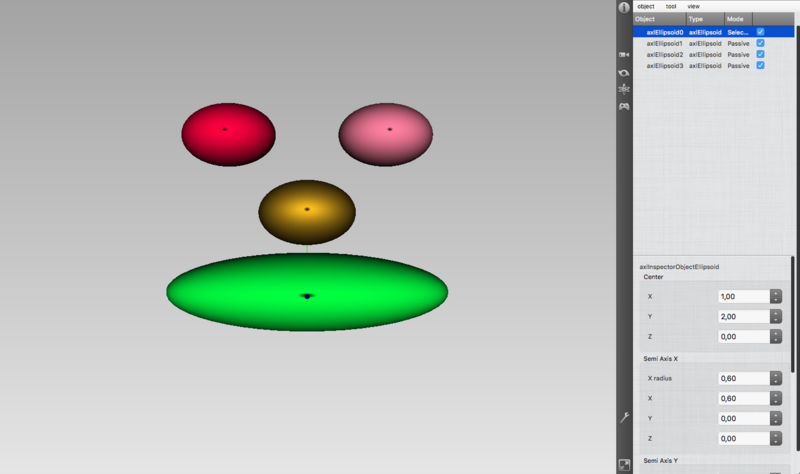 It visualizes the objects of a scene and allow to interact with them. the object inspectors (Ctrl-i, Ctrl-1): it lists the objects of the scene and allows to select and edit them. Here the first object is selected. Its color in the view becomes whiter. To edit it, double click on the corresponding line in the inspector or type “e”. The view can be changed using the mouse or pad moves. To center again the view on the objects of the scene, type “r”. To change the visualization mode to wireframe mode, type “w” in the viewer window. To use smooth mode, type “s”. 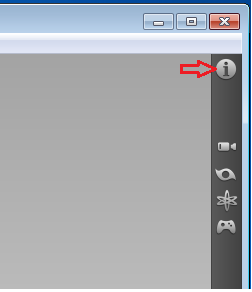 To save a scene in the Axl format, use the “Save” button in the menu “File” or Ctrl-s.